We have seen a lot of brides, and even a few grooms, get "DIY Fever" at our scenic wedding venue near Knoxville. Adding DIY elements to your Country Jewell wedding is a marvelous idea that adds a wonderful, personal touch to the ceremony and reception. It's not always quite as simple as Pinterest makes it look though, and it will take a LOT of time to get projects finished alongside all of your other wedding planning tasks. The sooner you begin your DIY projects, and the more help you have to take them all on, the better. The thoughts in today's blog can help you decide if you should DIY a particular wedding element or if you should let the professionals take care of it. If you are the type of person that pays extremely close attention to detail, is creative, and has a good grasp of grammar, then you can probably handle creating your own invitations, programs, menus, and other printed materials. You can find beautiful stationery that is ready-made to pop into your home printer, all you need to do is provide the desired wording. When you are planning a small wedding, you may even want to get crafty and hand-make the invitations from scratch. On the other hand, ordering invitations instead may give you more paper and ink options. Extremely organized brides may be able to handle this before the wedding, during the planning, but on the wedding day you really need to have someone making sure everything that needs to happen is being done, and they will also keep the wedding day festivities running on time. A friend or family member may be organized enough to handle this, but it's harder for them to enjoy the wedding if they are "working" the entire time. Be sure to take that into consideration before asking someone. Big, elaborate centerpieces look impressive when you walk into the reception, but after that initial "wow" factor, may not have much attention paid to them. Something simple can be just as beautiful and much easier to piece together yourself. A small vase with flowers and a few candles can be plenty, and a simple setup allows you to create it ahead of time and trust someone else to put it on the tables while you're busy getting ready on the wedding day. The same idea works for the decorations you use around the rest of the room too. If you will be using artificial flowers and they can be put together weeks before the wedding day, so this may be a safe area for you to DIY. When you decide to use real flowers, it might be better to leave the floral design to a florist. 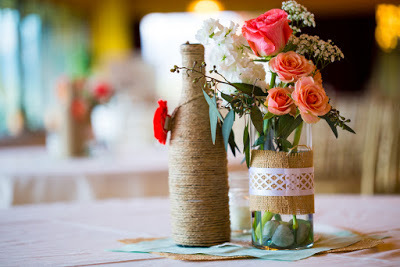 Just like with the centerpieces, if you are doing something simple like putting some cut flowers in vases and you have help, you may be able to handle it. A good compromise could be to do some of the flowers on your own and hire a pro for the more difficult arrangements. 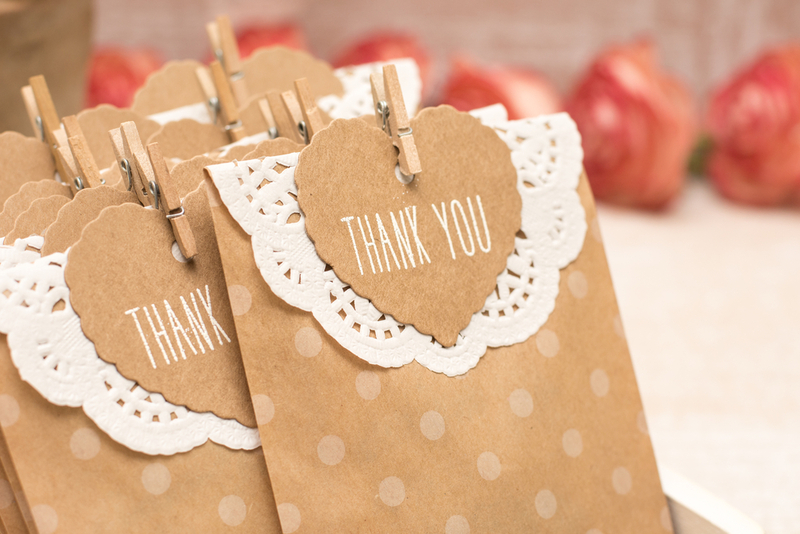 Wedding favors aren't a necessity, but they are a nice additional touch if you have the time and budget for them. When you make these yourself, it's easy to personalize the favors for each guest. This is an item you can get started putting together a long time before the wedding day, unless it's edible, so you should be able to get them all done in plenty of time before they are needed. There are lots of favor kits available too, which allow you to add the DIY touch, but have some of the work already done for you. Next week we'll discuss a few more things that you may or may not want to DIY for your special day at our rustic wedding venue near Knoxville. With lots of time and lots of help, a lot can be accomplished. The staff here at Country Jewell may be able to help you handle some of the wedding day tasks. Let us know what you need and we'll do our best to help you come up with a way to make it all happen.